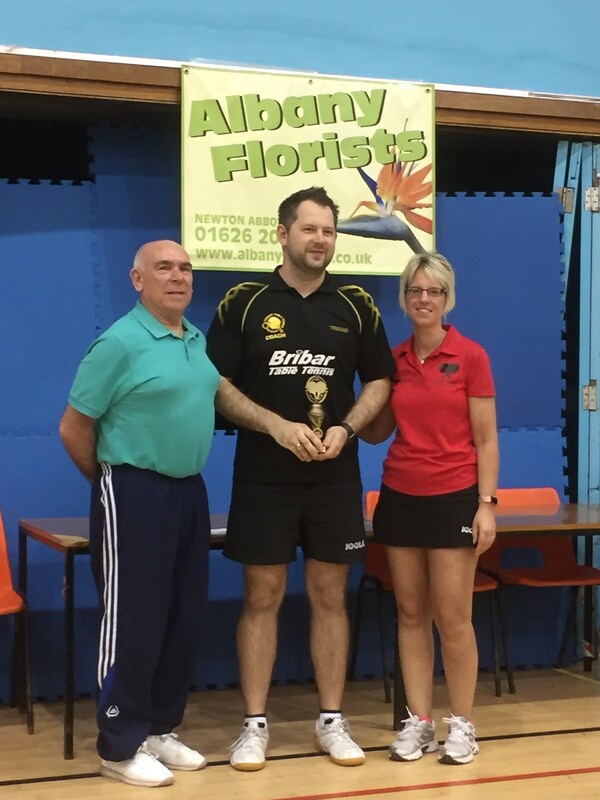 With more players and more teams than ever, the Albany Florists-sponsored South Devon & Torbay Table Tennis League has grown to 5 Divisions for the coming 2018-19 season. The team to beat in the top Division will again be Kris Piwowar’s Torbay Academy 1, looking to be champions for the 3rd successive season. Newton Abbot TTC have 3 teams, all hoping to put a challenge in: last season’s runners up NA Batmen, NA Buzzards, who have recruited exciting youngster Herbie Sage, and a new team, NA Condors, led by last season’s Division 2 top player Giles Tushingham. Brixham Sharks will also be looking to improve on their 3rd place last time out. Halwell and Brixham Gulls, both with new players signed up, will be hoping to improve on last season’s standings. The two sides dropping down from the First Division, both with new personnel, Torbay Academy 2 and Brixham Pirates, are likely to be the pick of the bunch in a very competitive 2nd Division. NA Eagles, coming close last season, will be hoping to challenge again. The new-look NA Falcons could be a surprise package, whilst the generally unchanged Brixham Trawlers, Taverners and Marldon will again be extremely competitive and could beat any team on their day. Runaway winners of the 3rd Division last time out, Denbury Tykes, will also be looking to make an impact in the higher Division. Torbay Table Tennis Academy, with 3 teams in the Third Division, again look very strong, with relegated Academy 3 looking the best bet for promotion. Last season’s runners-up, Marldon Tykes, will be hoping to challenge again and Newton Abbot Hawks should also be in the mix. Dawlish’s top side, the Drifters and the NA Kestrels, 3rd and 4th last season will be looking to go better. The experienced Brixham Dolphins will also be capable of upsetting the top sides in another very competitive Division. Division 4 favourites must be the Hasbeens who have recruited the experienced Alan Tyrrell to replace super veteran David Alexander who has decided to retire from league table tennis. Torre Table Tennis Club have all 3 of their teams in this Division: the Tigers, Titans and Panthers, who will all be hoping to challenge. Newton Abbot TTC Owls and Kites will be looking to make an impact in their first time up from the bottom division. Torbay Academy 6 and the experienced Dawlish Drifters complete the 4th Division. The Fifth Division sees many new players involved including a number of exciting youngsters who will be looking to climb up the Divisions over the next few seasons. Torbay Academy 7 will again be expected to be challenging at the top. Newton Abbot TTC have 3 teams: the Ospreys, Vultures and Merlins, whilst Dawlish TTC and Brixham TTC have two each, Dawlish Dodgers and Delights, Brixham Seals and Swifts.